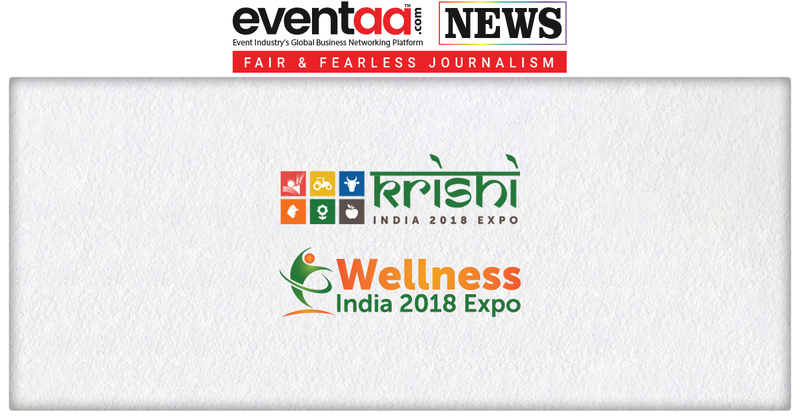 The launch edition of Krishi India 2018 expo and the 2nd Wellness India 2018 expo open at Pragati Maidan on 20-22 August 2018. Shri Shripad Yesso Naik, Minister of State, (Independent Charge), Ministry of AYUSH and Shri KJ Alphons, Minister of State (Independent Charge) for Tourism will be the Chief Guests at the opening ceremony. When agri and wellness and health experts gather to debate the future of sustainable rural development and healthcare, a uniquely insightful view of trends unfold. That’s what is expected to transpire at Krishi India 2018 expo and Wellness India 2018 expo to be held at Pragati Maidan, New Delhi from 20-22 August 2018. The Krishi India expo gathers policymakers, the private sector, renowned experts, farmers' organisations, agro-entrepreneurs, etc., to exchange experiences and good practices on issues related to market, land and water access, innovation to create more inclusive and sustainable rural India and much more. Participants from across the nation will discuss opportunities to build a stronger rural India through better policies for rural regions, examine how technology and innovation are enhancing crop quality and production, and how to work best with public and private partners. While the Wellness India Expo, incorporating Organic India, Health India and Biotech India, brings together leaders from the organic, travel, spa, beauty, fitness, nutrition, Yoga, AYUSH, medical, biotechnology worlds, etc. The expo aims at starting a new conversation about people's health and well-being, to support people to think about and make positive changes to their life through Yoga and Ayurveda. The Wellness India expo is one of the largest health fairs pertaining to wellness, fitness, the mind, body, and spirit! The expo is a unique community event that represents a multi-dimensional, complementary view of health and wellness. The Expos have attracted the attention of decision makers. Shri Shripad Yesso Naik, Minister of State, (Independent Charge), Ministry of AYUSH and KJ Alphons, Minister of State (Independent Charge) for Tourism will be the Chief Guests at the opening ceremony. While Shri Gajendra Singh Shekhawat, Minister of State for Agriculture & Farmers Welfare; Shri C. R. Choudhary, Minister of State for Commerce & Industry and Consumer Affairs Food and Public Distribution; and Anantkumar Hegde, Minister of State for Skill Development & Entrepreneurship will be the Guests of Honour. 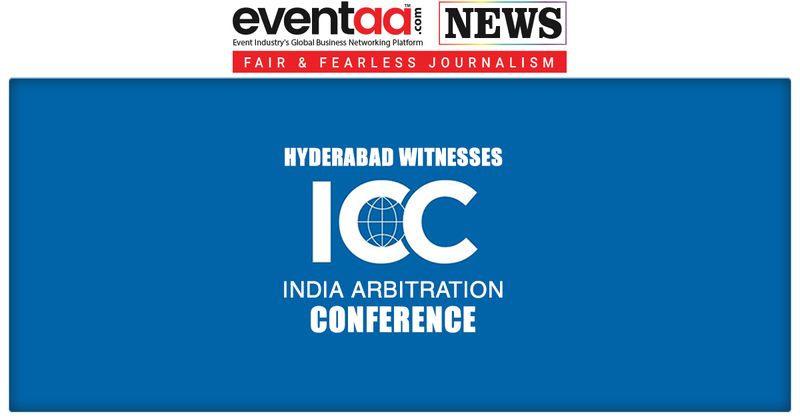 Eminent speakers include Shri Ramesh Chand Member, NITI Aayog; Dr. D. C. Katoch, Adviser (Ay. ), Ministry of AYUSH; Dr. J. P. Sharma, Joint Director (Extension), ICAR-Indian Agricultural Research Institute; Ira Trivedi, Yoga Acharya; and so on. Organisers of the expos, India Trade Promotion Organisation (ITPO) and Exhibitions India Group, believe that the expos will be an eye opener for all agri and wellness stakeholders who want to expand and diversify their business and activities. The three-day event includes conference sessions and panel discussions, workshops and demos, as well as learning and networking opportunities. ITPO, the premier trade promotion agency of the Ministry of Commerce & Industry, Government of India is committed to showcasing excellence achieved by the country in diverse fields, especially trade and commerce. ITPO provides a wide spectrum of services to trade and industry, and acts as a catalyst for the growth of India’s trade. 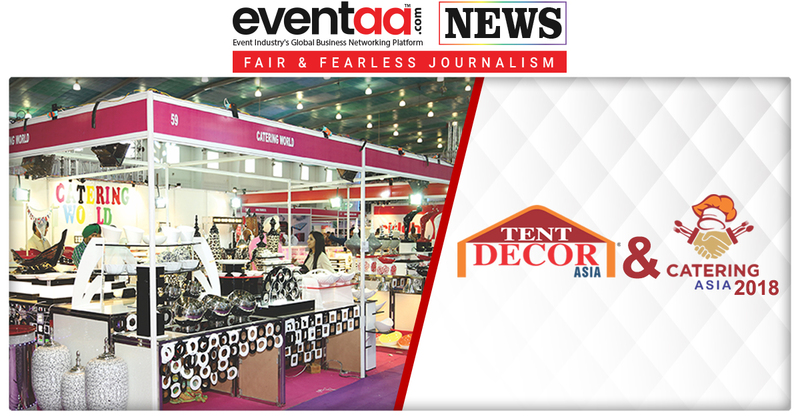 Exhibitions India Group has been in existence since 1987 and is committed to providing satisfaction to its customers by organising quality and focused international trade shows through exceptional services, employee involvement, market intelligence and continual improvement.